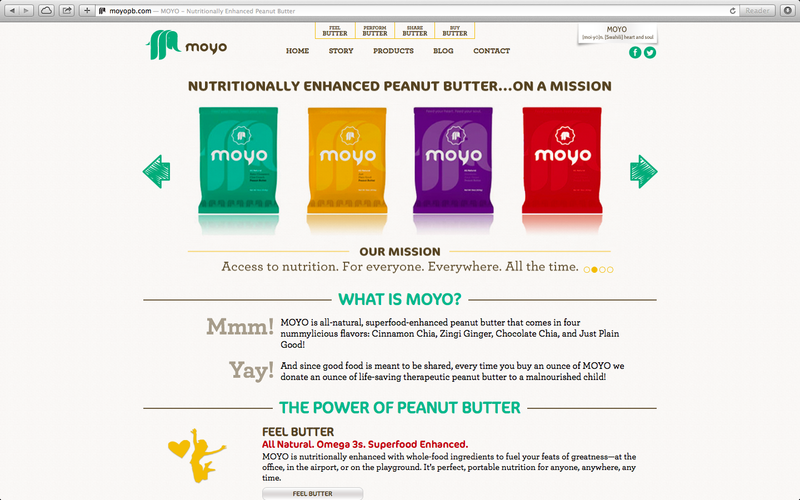 MOYO is a startup that produces “power peanut butter” and donates an ounce of therapeutic food to a malnourished child for every ounce of MOYO sold. Our mission was to convey a powerful, but complex, set of brand attributes seamlessly. Those attributes include powerful, patent-pending nutritional formulas; a dual appeal to both athletes and everyday shoppers; imaginative but approachable flavors; and the social mission of the company. These three categories allowed us to go deeper into each of these three principal brand attributes and to tailor our messaging to multiple target markets. a marketing-­communications company in Boulder, Colorado, that serves healthcare, wellness, and mental-­‐health companies.